ASH Comes from Eastern U.S. and Canada. Light cream to light brown. BLACK LIMBA Comes from West Africa. Pale yellow to light brown with a nice dark streaks. BLACK LOCUST Pale yellow to light brown with a nice dark streaks. CHERRY Comes from Eastern U.S. and Canada. Reddish brown with a golden luster. HICKORY Comes from U.S. and Canada. 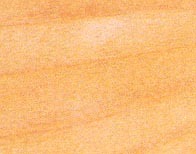 Cream white with streaks of brown or tan. Hard and heavy. HOLLY Comes from North America. It's a light yellowish cream, fairly hard and light weight. HONEY LOCUST It's a light honey brown with slightly darker grain. Fairly hard and light weight. KWILA Redish brown and has little grain with dark and light speckels. MYRTLE Comes from Pacific coast of the U.S. Pale brown to yellowish green, often variegated. OSAGE Comes from all over the Southern U.S. Has many local names such as "bodart," "bodark," "hedge," "hedge apple," "horse apple," "bois de arc", and probably others I've never heard of! Very hard and heavy wood that has been used forever in selfbows. Color varies from bright yellow to deep orange, tends to darken with age. Great riser wood and has it's followings for limb laminations. RED ELM Also called Slippery Elm, comes from Canada and the U.S. Reddish brown to dark brown. Very common limb lamination wood for good reasons! Hard and strong but realitivly light weight. Very pretty cut flat grain. WENGE Comes from West Africa. Dark brown to black, coarse texture very hard and heavy.